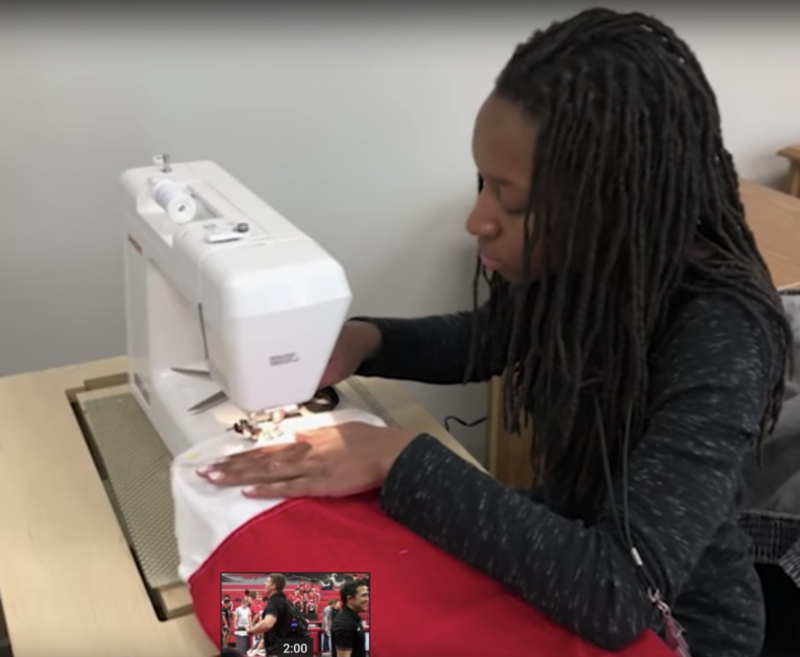 Memorial high school fashion design class decides to take a stand in the community and give back by sewing red and white Christmas stockings. The stockings are then provided to the hospital and used on newborns as blankets to all babies born on Christmas Eve and Christmas Day. The design students delivered all the the stockings to our local hospital, Baylor Scott and White’s maternity unit. “ I reached out to the hospital and wanted to get involved in the community” , Mrs. Mercado expressed. The girls were overjoyed to go on this field trip, which helped them get in the Christmas spirit! It also taught the students that contributing to the community can be fun and really appreciated. Unfortunately, the fashion design class didn’t get to see any babies, but they were able to meet some of the doctors and capture a glimpse of the nursery.